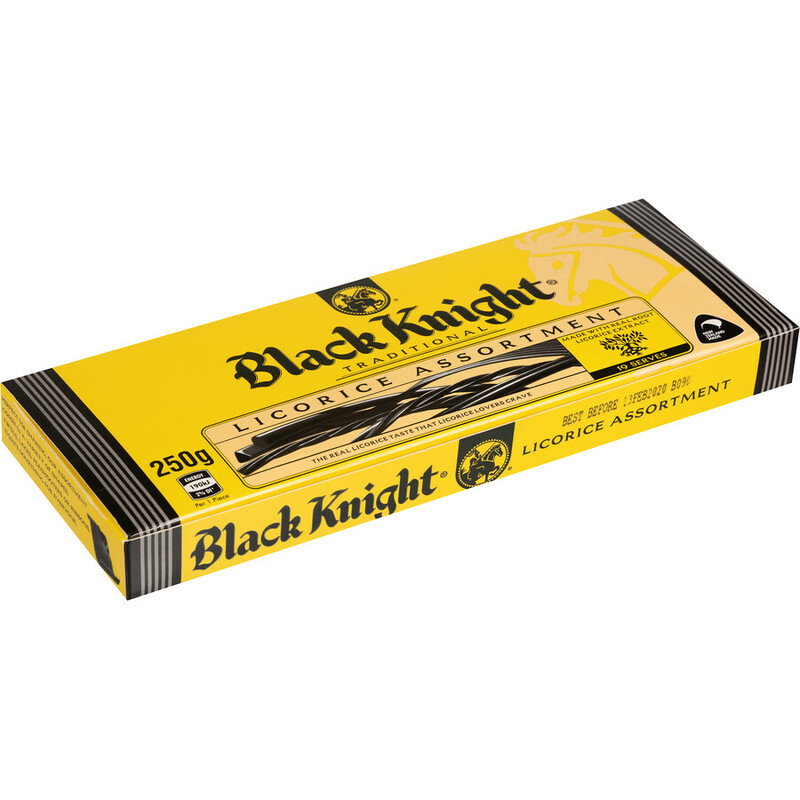 Black Knight Licorice has been a Kiwi made favourite for generations. Made to traditional standards of excellence from real root licorice extract, with natural colours and flavours, it is 97% fat free and has the licorice taste that licorice lovers crave. 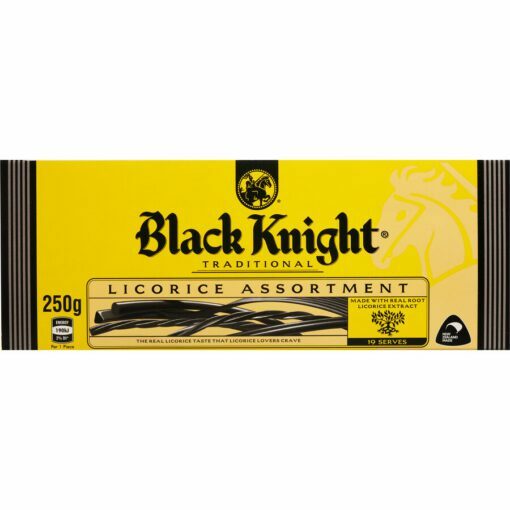 Enjoy the variety of different traditional shapes – twists, laces, pea shooters and ribbons plus the variety of textures that the Licorice Assortment offers. 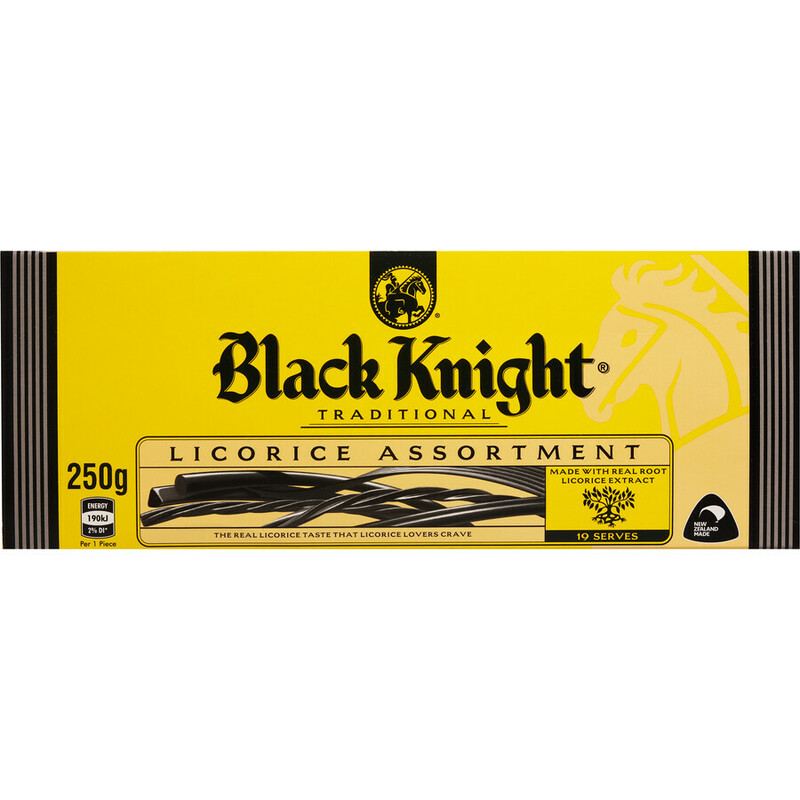 This boxed Assortment makes a great gift for any licorice lover.